Purchase: Released 12th Jan 2017 in the U.K. and in the U.S.
Sara Barnard is well known for her previous book ‘Beautiful Broken Things’ and there has been so much hype towards her new book. 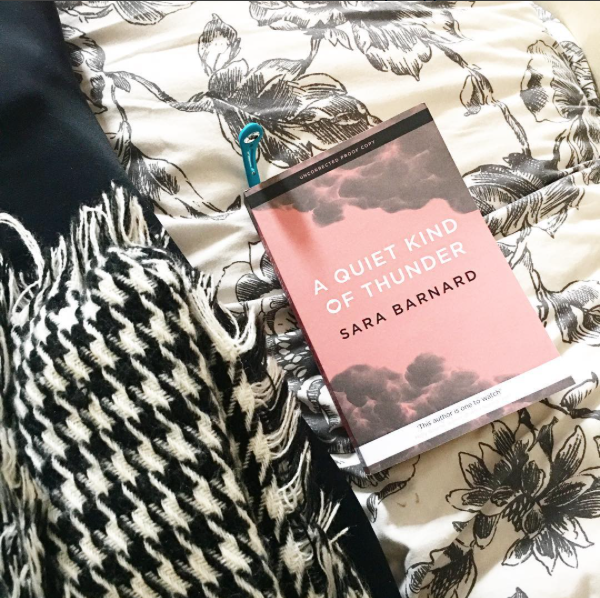 ‘A Quiet Kind Of Thunder’ is about overcoming the hard things in life and finding your comfort zones and strengths. Steffi is in high school and is selectively mute, she finds high school very hard as she can’t come out with the words, and would love to be able to live a normal life. She wishes that people wouldn’t stare at her, make fun, gawp or giggle when she does actually come out with something. Luckily, there’s a student that’s introduced to Steffi called Rhys who is deaf and communicates via BSL (British Sign Language). Steffi faces a lot of troubles when it comes to applying for university next year, whether she will be able to go, how she will handle an emergency situation and cope with her every day life. These are some of the struggles that she has to go through within this book, and it really takes you on her and others’ journeys. Can overcome these things and maybe even find love? I highly recommend this book to people that love young adult fiction and romance. It’s a very uplifting book that opens your eyes to the world of mute and BSL communities. I feel that it’s a very inspirational book and has made me want to take up my goal of learning British Sign Language.